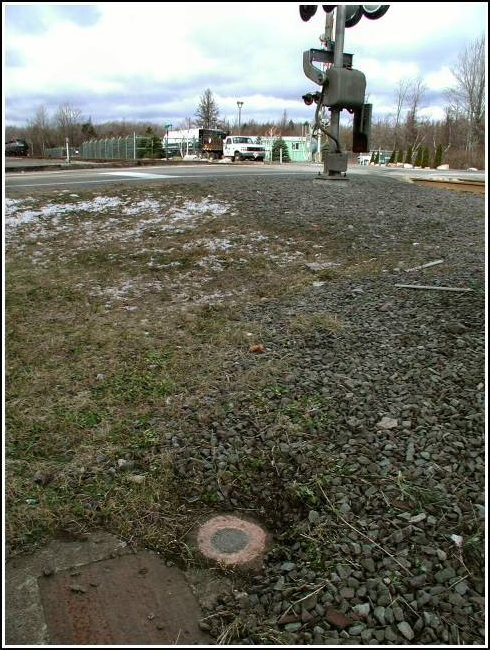 On our way to pick up a moving geocache in the nearby Tobyhanna State Park, Rich and I drove past the railroad station and control tower and he mentioned that he thought a benchmark was located nearby. 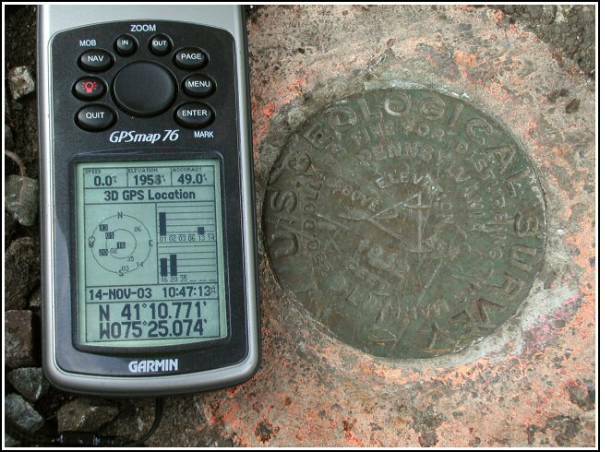 Although it was a horribly cold and windy day and we could barely stand to be outside, on our way back home we did stop to search for the mark. 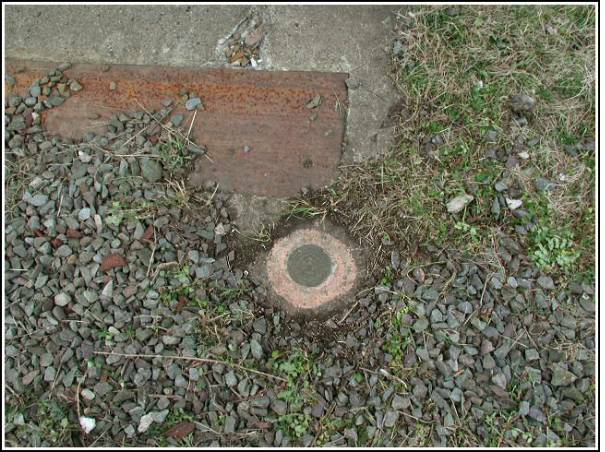 We found it beneath some gravel at the base of the control tower as described, just east of Route 423. 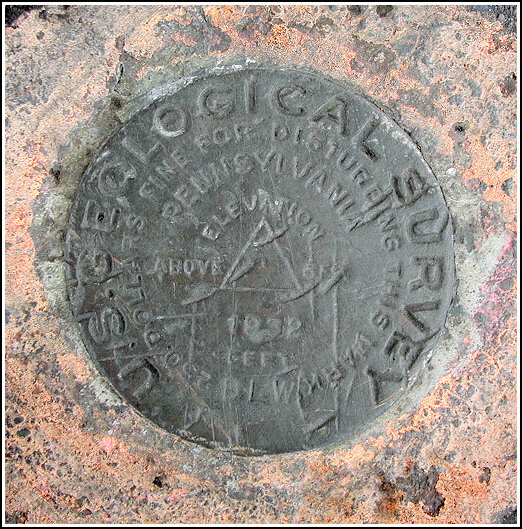 The stamping is eroded and very difficult to make out, but the mark doesn't appear to have been disturbed. 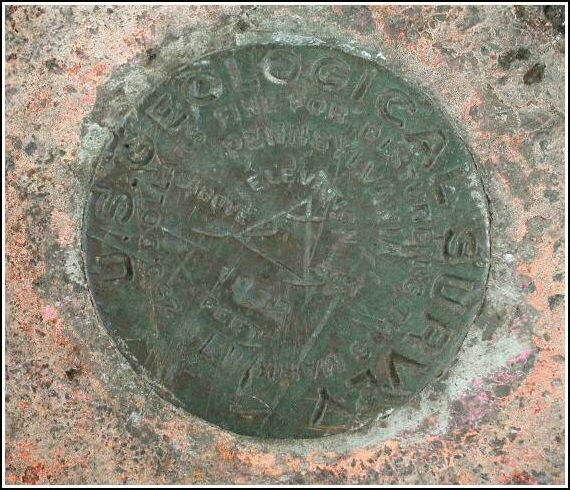 The stamping is worn and difficult to discern. The mark appears to be in good condition otherwise. 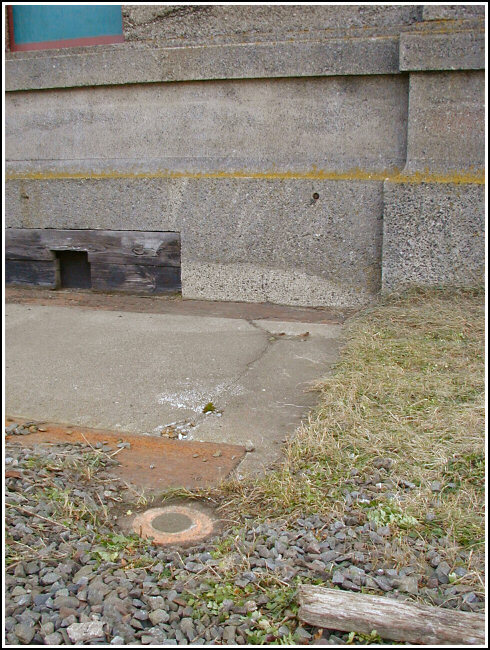 Eye-level view of the mark, with the north wall of the control tower in the background. 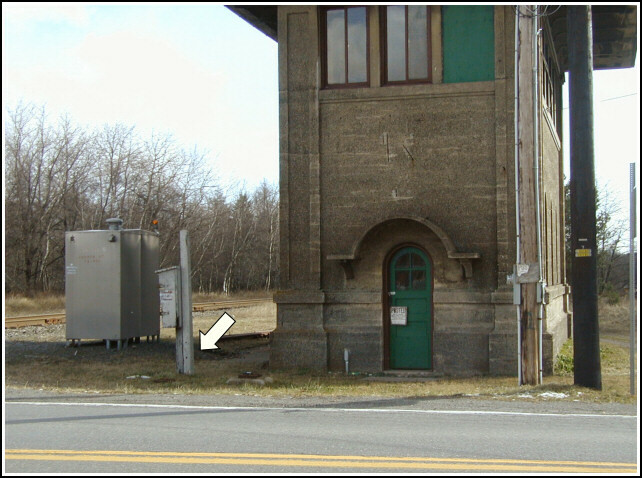 View of the control tower, looking east, with the general location of the mark indicated. Orientation view, facing north and RR crossing. 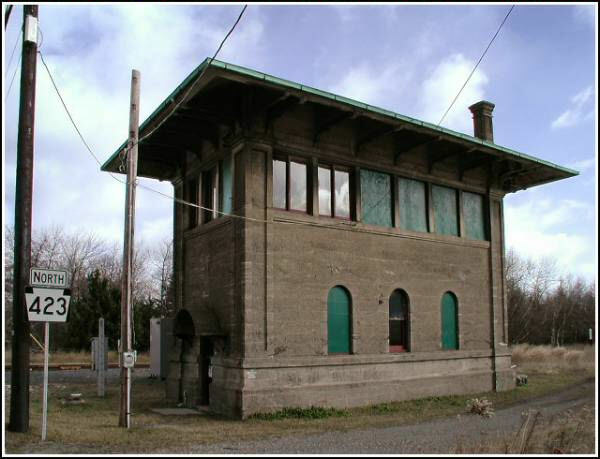 View facing east and the railroad control tower.